2.1 We offer free standard delivery to mainland UK addresses on specific orders where stated at the time of checkout. 3.1 We will usually be able to deliver to the following countries and territories: England, Scotland (not the Scottish Highlands) and Wales. (a) if your delivery address is on the United Kingdom mainland, you will be able to select standard delivery, and the typical period for delivery of products by this method is 3 working days. (b) if your delivery address in on the United Kingdom mainland, you will be able to select next day delivery, the typical period for delivery of products by this method is 24hrs. 4.2 If you place your order before 1pm on a working day, these time periods run from the close of business on that day; if you place your order after 1pm on a working day, or on a non-working day, these time periods run from the close of business on the next following working day. 6.2 To track your delivery, contact us for your delivery tracking number and delivery service provider’s website. 3.4 If there is an input error with an order you have placed please contact cpsinternet@donaldcooke.co.uk with full details. 4.1 The following types of products are or may be available on our website from time to time: Pet, fishing and animal feeds. 5.3 All amounts stated in these terms and conditions or on our website are stated inclusive of VAT at the prevailing rate. (b the supply of goods made to your specifications or clearly personalised. 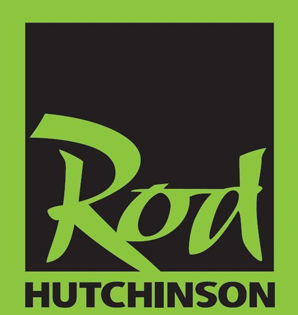 23.1 This website is owned and operated by Rod Hutchinson Tackle & Bait Ltd.
23.3 Our principal place of business is at Rod Hutchinson Tackle & Bait Ltd, Highfield House, Orgreave Lane, Sheffield, S13 9NZ.